"Yorktown: A Time to Heal" - Official thread for the Sulu fan film! Discussion in 'Fan Productions' started by Captain Atkin, Jun 2, 2011. I dunno what is up with Chrome on my Mac. It is not showing me a lot of photos, just broken links. I had to open it in Safari. Can't wait to see this. The lost adventure of Mr Sulu! is that a FASA Ranger class?! No, that's the Naeger. 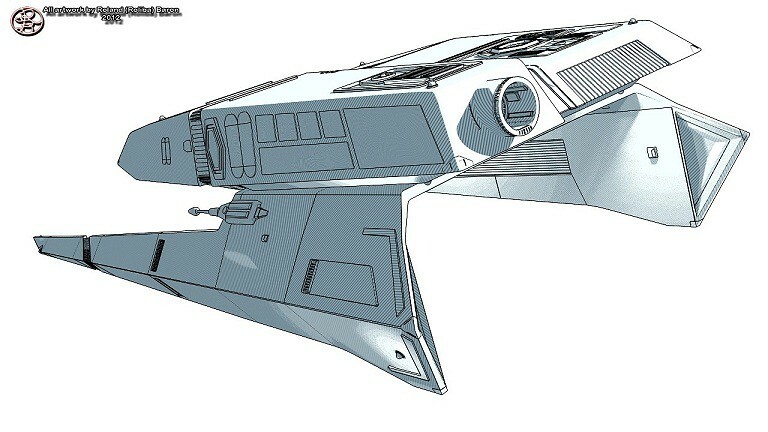 It's a Probert-designed ship similar to the TMP long-range shuttle. See the message from earlier in this thread below. 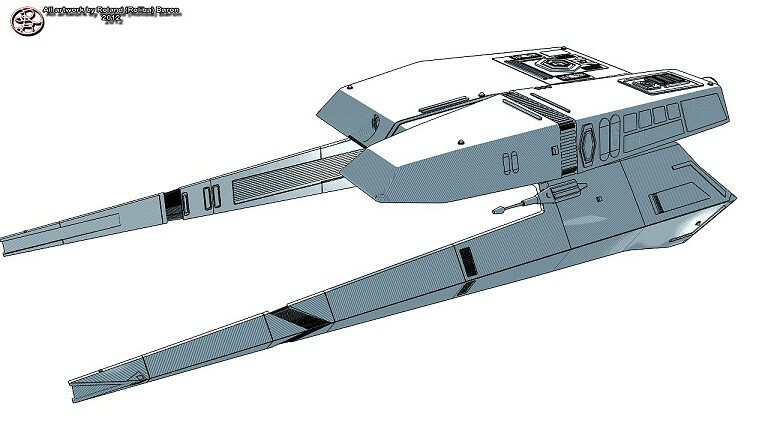 New concept art of the enemy SHARK vessel, the Nagear. I still hope that there’ll be new bookending scenes of George Takei appearing to do a “I remember when” intro and outro...subject to a special exemption to the fan film guidelines. As the death of Leonard Nimoy recently reminded us, the days of the original cast are numbered, and each production with them in is a gift. Literally, in the case of fan films. Captain Atkin, would you make the (potentially last ?) Sulu scenes for the Star Trek Legacy ? Nice idea, but I suspect it won't happen.